A pair of American academics have won the Nobel Prize for economics for their ground-breaking work on sustainable growth. William Nordhaus and Paul Romer have spent years researching how the world economy is impacted by climate change and technology. Nordhaus was at the forefront of research that led to a model that considered the interaction between the economy and climate. Romer built on similar work showing how economic forces influence ideas and innovation. “Their findings have significantly broadened the scope of economic analysis by constructing models that explain how the market economy interacts with nature and knowledge,” the academy said awarding the prize. They will receive 9 million Swedish krona (£841,000) in prize money. Taken together, the body of work produced by the two economists shows the unintended side effects of economic activity and how they affect growth. The findings from Nordhaus are closely aligned with the latest report from the United Nations Intergovernmental Panel on Climate Change. He suggests responses such as carbon taxes are a tool for mitigating the consequences of climate change triggered by economic activity. Romer examined technological change and concluded creatives putting forward new ideas were often overlooked when their innovation was picked up by the wider economy. The result, he decided, was market economies did not generate enough new ideas because innovators failed to share the benefits of their thinking. To spur innovation, he calls for more government action to stimulate innovation, like subsidies for research and development. “Many people think that protecting the environment will be so costly and so hard that they just want to ignore it. We can absolutely make substantial progress protecting the environment and do it without giving up the chance to sustain growth,” said Romer. Nordhaus is a professor at Yale University, USA, while Romer has a seat at New York University’s Stern School of Business. Romer was chief economist at The World Bank, leaving in January after two years of service. Their award marks a continuing dominance of American men winning the Nobel Prize for Economics. 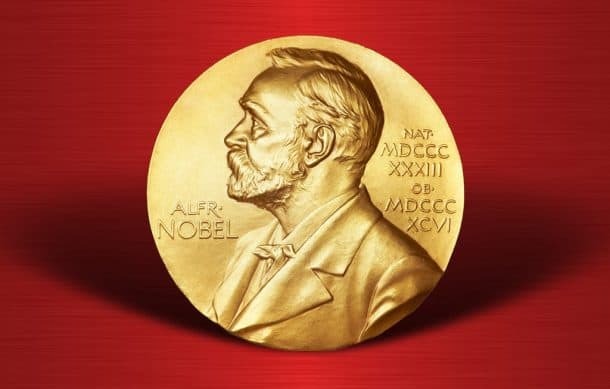 American men have picked up 43 awards to the rest of the world’s 35 since the prize was inaugurated in 1969 as The Sveriges Riksbank Prize in Economic Sciences in Memory of Alfred Nobel.